Michelle L. Gomez | Littler Mendelson P.C. Michelle L. Gomez represents and advises employers on a wide variety of employment matters, including claims based on age, race, color, national origin, and sexual discrimination, harassment, retaliation, and wage and hour issues. She defends clients in employment-related disputes before federal and state courts, the Equal Employment Opportunity Commission, the Colorado Civil Rights Division, and the Wyoming Department of Workforce Services. Michelle’s recent trial experience includes a federal court jury trial, a federal court bench trial, and a state court jury trial, all of which concluded favorably for Littler’s clients. 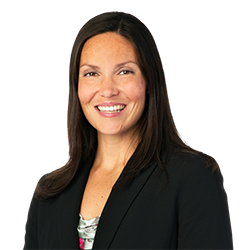 Michelle embraces every opportunity to work closely with her clients to ensure legal issues are resolved promptly and successfully. The Limits of Work Time: What is Compensable Time?